SSC has advertised 54953 Constable (GD) Vacancies for the Year 2018. Applications was received from 17-08-2018 to 17-09-2018. Many candidates have applied for the post and rush their SSC GD 2018 – 2019 Exam Preparation. Candidates are eagerly waiting for the SSC GD 2018 Examination. Staff Selection Commission (SSC) has released Admit Card for the Post of Constable (General Duty) 2018. 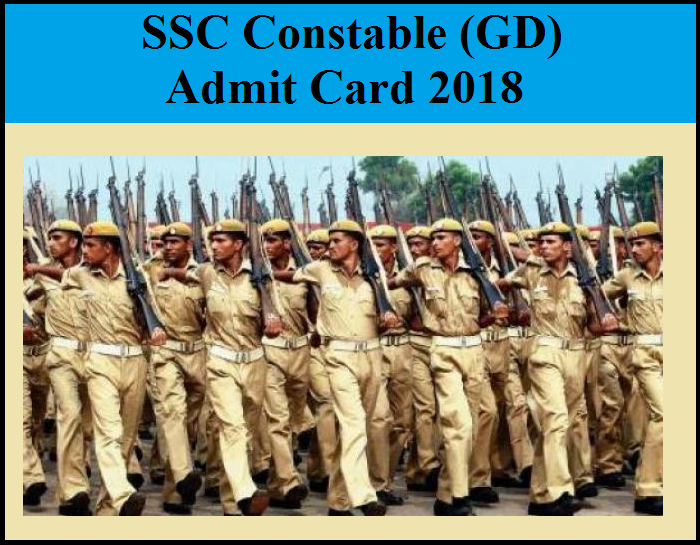 Candidates can download SSC GD Constable Admit Card 2018 from below mentioned link.